Do you have a child with a digital device and want to set some ground rules? How do you know where to start? We are here to help. Simply enter your address below to get your copy and join our mailing list. Your email address is being collected for Binary Tattoo only and will not be shared. You may opt out at any time. 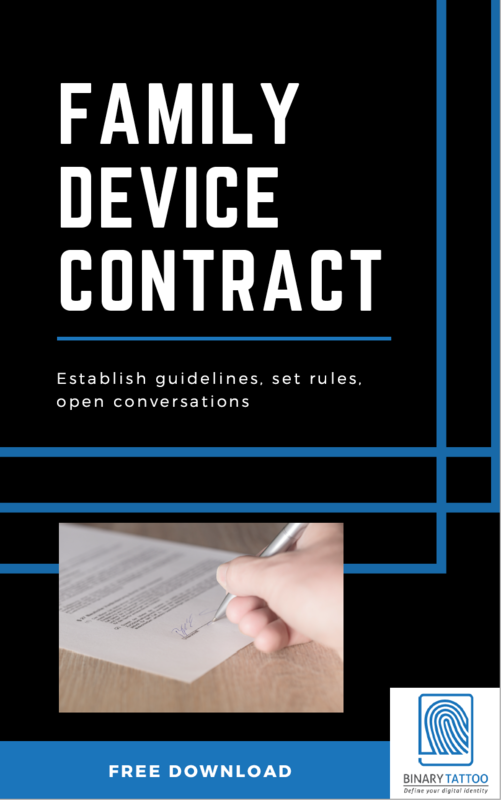 I am already on your mailing list but would like a copy of the Family Digital Device Contract. Already on the email list but I’m interested in the digital device family contract. Thanks! I hope this finds you well. Congratulations on your continued success. Thanks Katrina! If you are not already on the mailing list then you can get a copy by putting your name and address in the form above and then you’ll automatically get the link to the pdf. If you have any trouble, please let me know! I already follow you on fb (great job!). Can you please send us the digital device contract. Thanks! Having trouble access the contract link. All fixed. Thanks for letting is know!